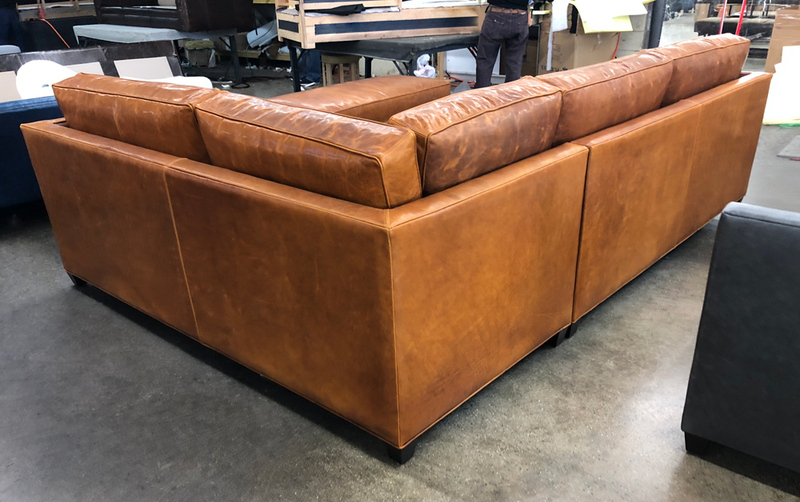 Safe in its new home here in California, this Arizona Mini Leather L Sectional was made without the tufting shown with our Arizona Collection, a no-cost custom option that has become popular over the last few years for this style. 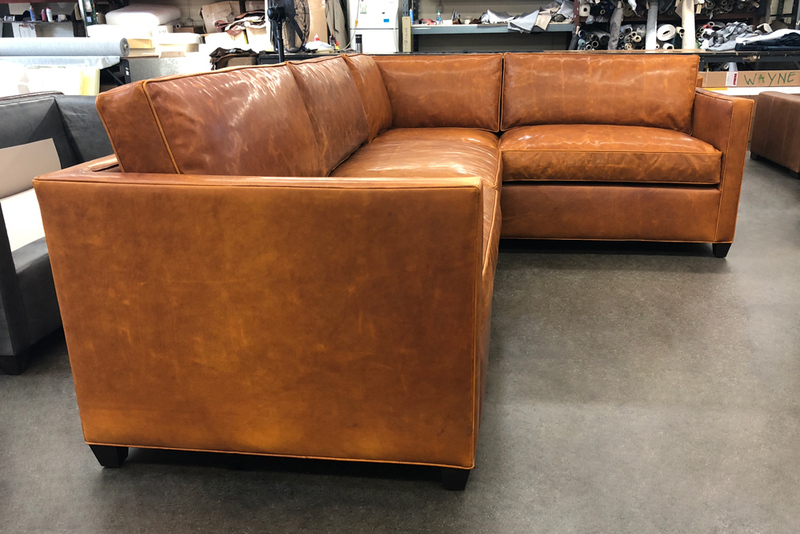 This Arizona Leather Furniture is dressed in Italian Domaine Bronze, a beautiful Full Grain Aniline leather finished in a 5th generation tannery in Northern Italy that displays a variety of natural characteristics and color variation. 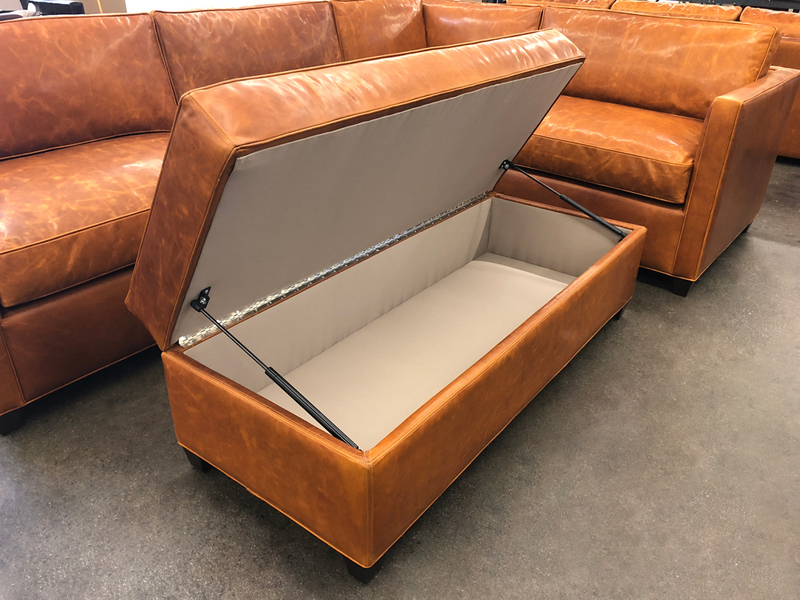 Once this rich leather breaks in, the feather and down cushion topper provides luxurious softness, with the support of a removable and replaceable foam core inside. 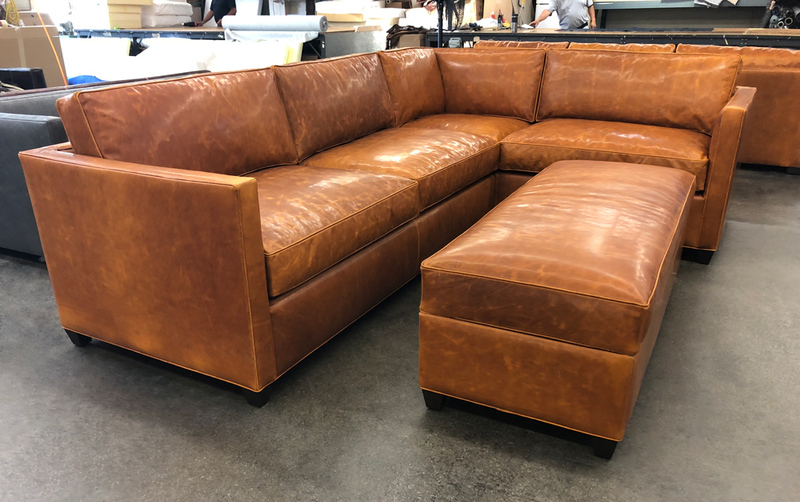 Leather Cocktail Ottomans are often chosen as an alternative to a standard coffee table. Use a tray to hold drinks and food, or remove the tray to use the ottoman with your seating. This customer opted to add the extra functionality of our storage option, with strut assisted open and close. This entry was posted in Arizona, Custom Leather Order Feed and tagged Arizona Leather Cocktail Ottoman, Arizona Leather Collection, Arizona Leather Sectional, Arizona Leather Storage Cocktail Ottoman, Arizona Mini L Sectional, clean seats, Cocktail Ottoman, Domaine Bronze, full aniline, full grain leather, Italian Domaine Bronze, Italian Domaine Leather, non-tufted, Storage Cocktail Ottoman, Storage Ottoman on July 15, 2018 by LeatherGroups. The Customer Care Team here @LeatherGroups is here just for you. Our mission is to be of service, and to give you more than you could ever expect. Our eyes are not on "selling" or "getting", but adding value and being of service. Let us know how we can help you today!